BaseClear launches sequencing service using Oxford Nanopore technology | BaseClear B.V.
1st December 2017, New York, USA, and Leiden, Netherlands. BaseClear has launched nanopore sequencing as a service, and now invites researchers to submit genomics projects for rapid-turnaround, ultra-long read length, direct nanopore sequencing. 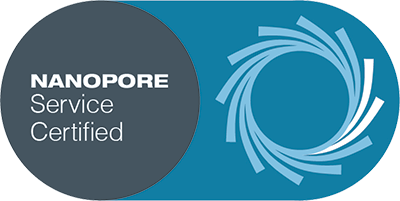 BaseClear is the first service provider to complete the Oxford Nanopore certification process, that enables provision of nanopore sequencing as a service. Based in Leiden Bioscience Park, the laboratory is deeply experienced in nanopore sequencing, having used the innovative technology for more than 3 years. BaseClear has participated in projects such as the sequencing of complex yeast genomes and the ultra-large tulip genome, which is 11 times larger than the human genome. BaseClear will process samples using the GridION; a desktop nanopore sequencer that allows the user to run up to five Oxford Nanopore Flow Cells on-demand. BaseClear works with researchers from all over the world and offers complete genomics services including sampling, extraction, library preparation to sequencing and analysis. BaseClear also provides consultancy and support for project design, particularly useful if you are new to Oxford Nanopore technology. Having participated in the sequencing of the Tulip genome, BaseClear has a specific interest in large and complex genomes, and welcomes projects from researchers in this area. Secondly, BaseClear has a strong background in microbial genomics and explores the vast potential of Nanopore technology for fast real-time assays, genomic structure and metagenomics analysis. Oxford Nanopore technology provides real-time, direct sequencing of DNA and RNA. Read lengths are determined by preparation; the longest single read using nanopore sequencing is now approaching 1 Mb. This has particular benefits when assembling large, complex genomes, resolving structural variation or wishing to explore large metagenomic communities. The first Oxford Nanopore device – the portable MinION sequencer – is not available for service provision; however, the GridION and PromethION can be used for service when certification is completed. Interested? Contact Dr. Adalberto Costessi, Product Manager NGS at BaseClear via info@baseclear.com or +31 (0)71 523 3917. For more information visit https://www.baseclear.com/why-baseclear/technologies/Nanopore-sequencing_100_16.html or https://nanoporetech.com/services/providers/baseclear-future-genomics-technologies.